TromboneBuddy™ is a highly developed position trainer that attaches quickly and easily to any trombone. It provides previously unavailable precise position feedback that helps the beginner to quickly and accurately learn the position locations, and helps more advanced players fine tune their accuracy. 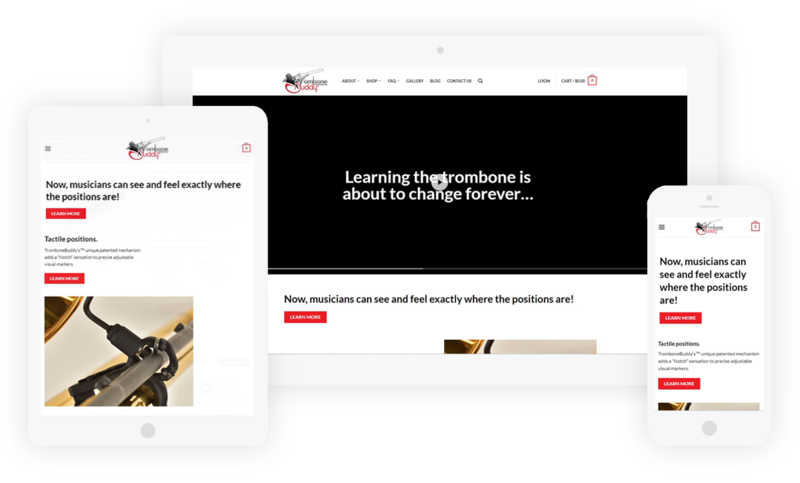 Located in Rochester, Minnesota Trombone Buddy reached out with the desire create a website with a simple, straightforward, and actionable look and functionality.